Stay up to date with Stanford! to be explored by foot, bike, horse or boat! Mountains have always captivated and inspired the human spirits. There seems to be a powerful attraction, which stirs a desire to either explore and conquer its peaks, or merely rest and relax in its valleys and rivers. Whichever appeals to you, there is a landscape of diverse flora and fauna waiting to be explored by foot, horseback, bike or 4×4. Stanford is the perfect base from which to explore these majestic structures and if you give us enough notice , we will gather the local food artisans and put together the most delicious and nutritious picnics and snack packs for you to take with, we may even suggest some of our local wines for you to enjoy in the shade of the Kleinrivier mountains. 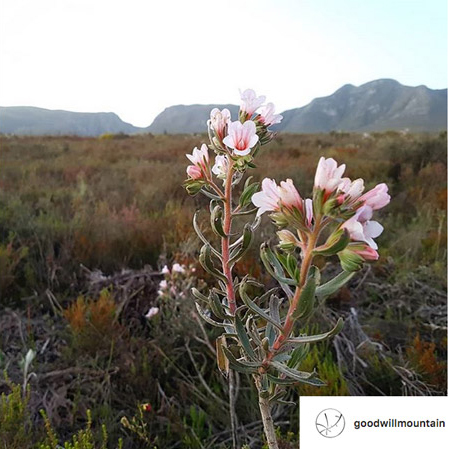 Hikers are spoilt for choice in this region, not only with the spectacular views and abundance of varying biomes, but you have your choice of anything from a gentle walk and picnic to a multi-day hike. 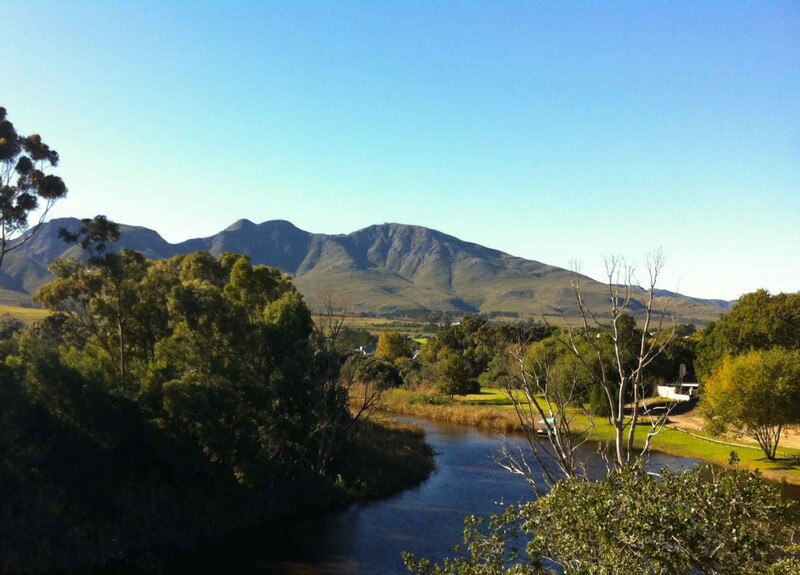 Phillipskop Mountain Reserve offers a unique opportunity to access part of the Klein River Mountains. Visitors are welcome to hike anywhere on the reserve but they have established a number of hiking trails to help you in your exploration. You may also wish to explore Walker Bay Nature Reserve 17 km of rocky and sandy coastline which include the incredible cliff paths at De Kelders. See more on walks and hiking trails in our region. 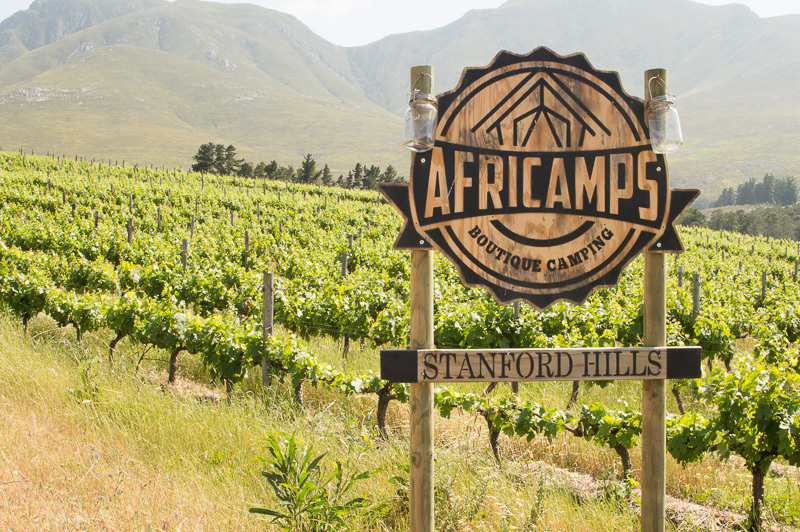 As home to the Stanford MTB Classic stage event we have so much to offer the avid Mountain Biker and the whole family! 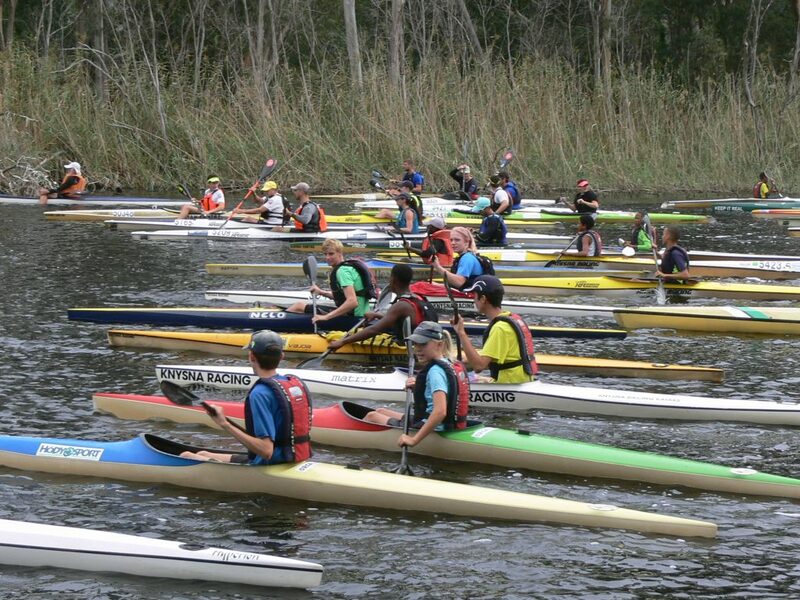 Start in Stanford and explore the many tracks through the fynbos and nature reserves. Explore our wonderful region on horseback, as many of the early explorers must have. African Horse Company offers 1-3 hours or multi–day horse trails and outrides. You will ride along kilometers of unspoiled beach, climb rugged mountain terrain, and ride through indigenous forest, cross private farms and vineyards and swim with your horse in dams filled with the purest mountain water. What a wonderful way to discover our region. For some the mere luxury of gazing up from the valleys and rivers to take in the numerous rock formations is enough food for the soul. 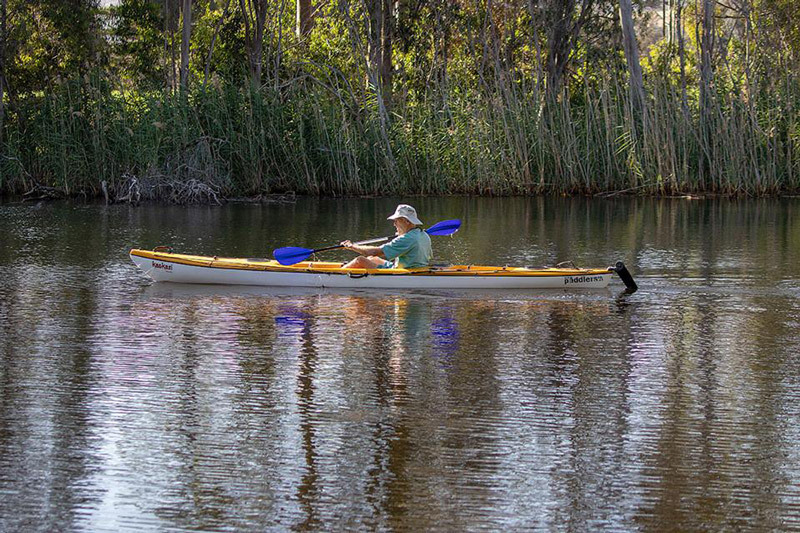 In Stanford we take full advantage of our Kleinivier and you can hire a Kayak from River Rat Boat Cruise & Kayak Hire and do some self-exploration. 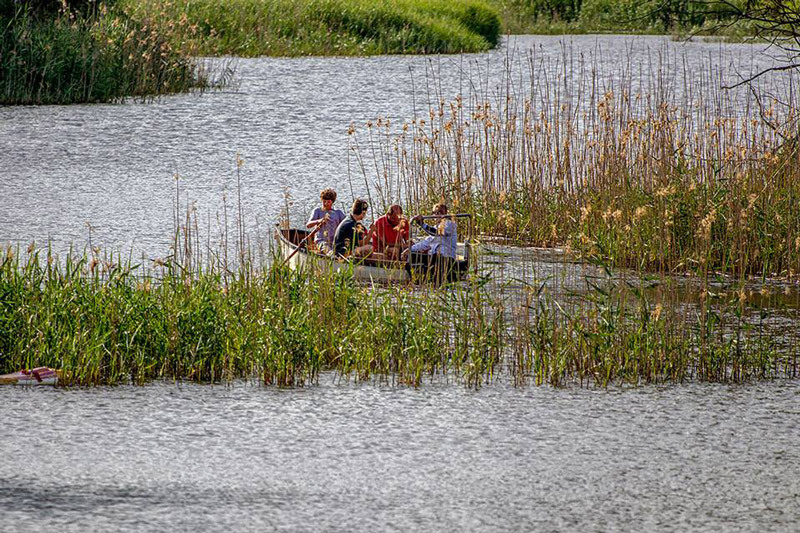 The river is famous for its big variety of birdlife, breeding and nesting in the reeds on the banks of the river. Other wild life include some buck in a small reserve, otters feeding on crabs, terrapins and the odd puff adder swimming across the river. 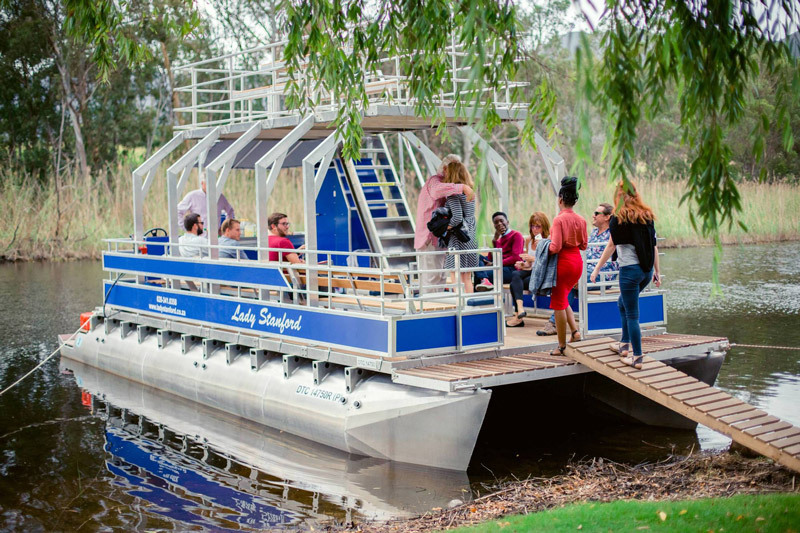 Or simply pack a picnic ( you can stock up from our many food and wine artisans) and enjoy a leisurely cruise with Lady Stanford, or African Queen Cruises. 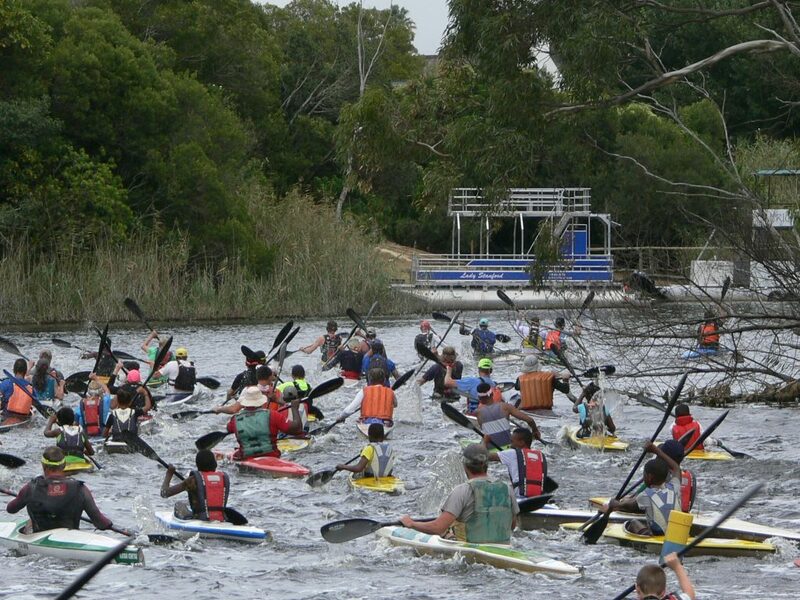 Read all about our Stanford River Festival here. 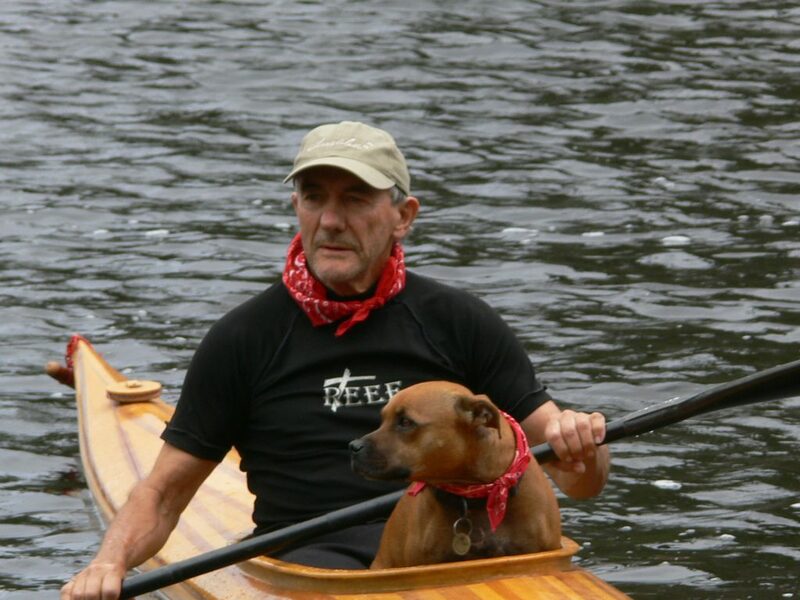 A lovely account from Roger Duffet. 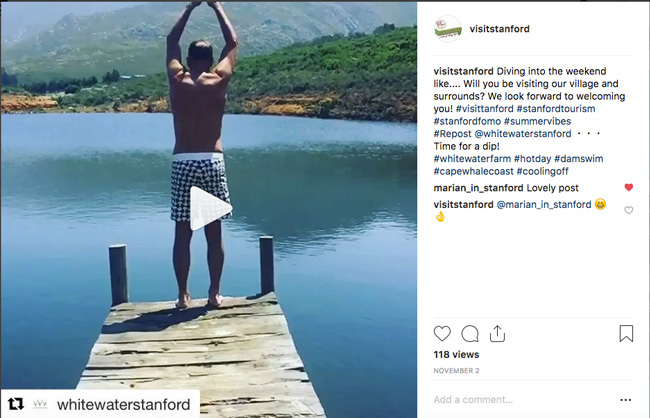 Did you #VisitStanford recently and bragged a little on Instagram? Well we may just have spotted you! 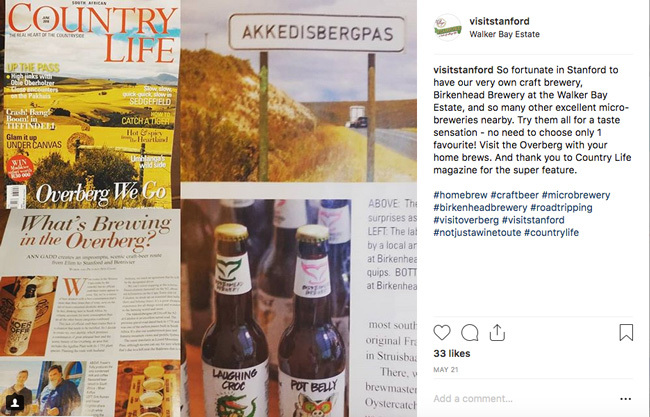 To discover more of Stanford’s Secrets, pop into the Tourism Office in Queen Victoria Street, or follow us on Facebook and Instagram. 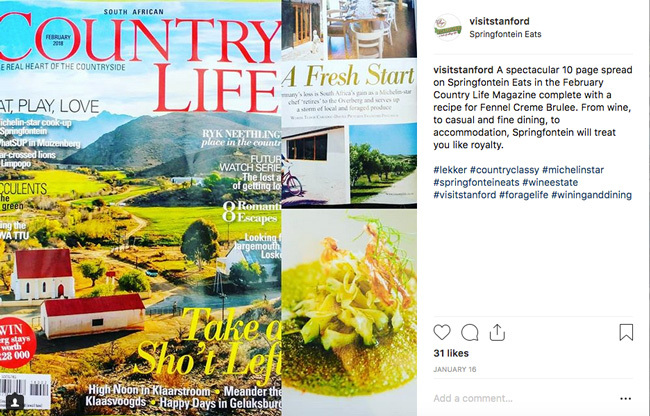 For weekly updates, make sure you sign up for the free What’s on compiled by Stanford Tourism every Thursday right here. That’s all for now, folks. And remember, if anyone asks where you got your news, tell them you heard it through the Grapevine! eight sitters, two standers, one swimmer and a dog! boat with friends and family! and 1 second on a Ski chased home by Emma Privett [U12] in a Guppy. best presented wooden boat on display at the festival. 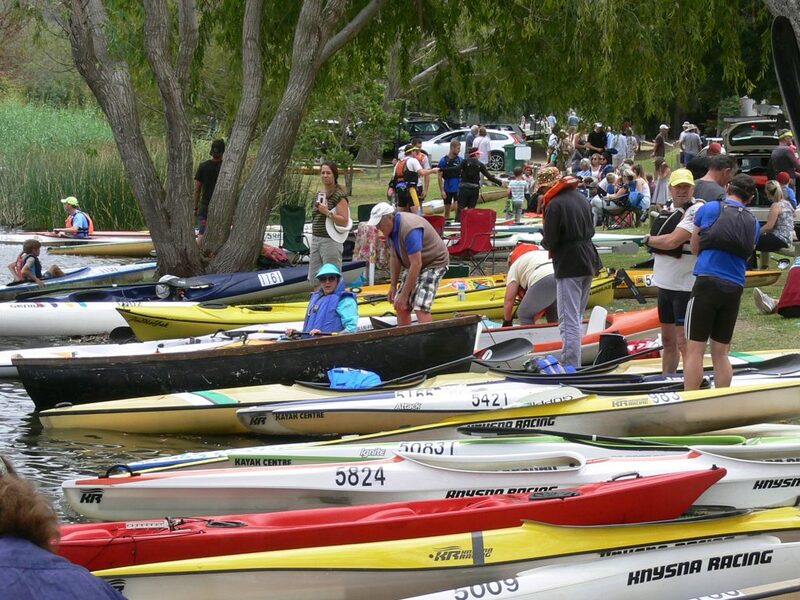 and the points for the Western Cape Canoe Union Presidents Trophy. category was Lindi-May Harmsen [V] from Milnerton. first and Neriyah Dill [U14] second. 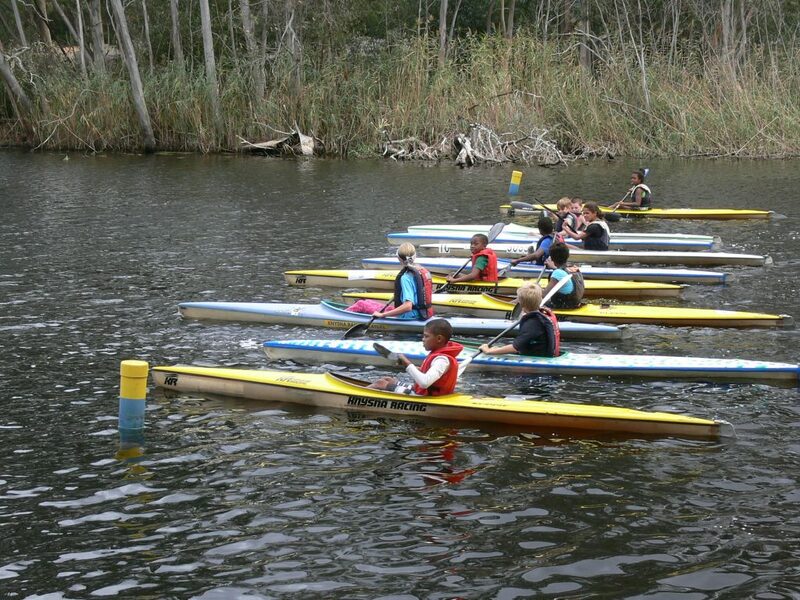 supporting the Stanford Canoe Club Development Academy. 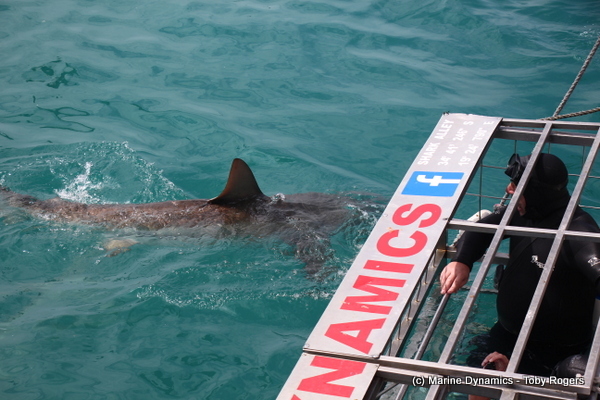 Shark Cage Diving and Educational with Marine Dynamics. 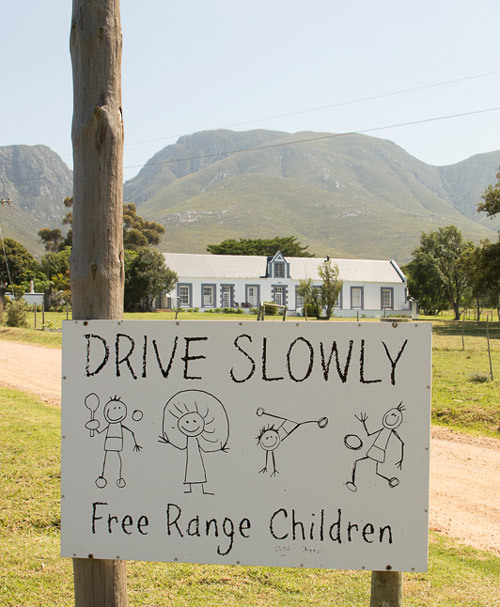 With Gansbaai only 20 or so kilometers from Stanford, guests to the village can easily combine their country-getaway (complete with delicious fare, nature-inspired activities and award-winning wines) with the high-adrenalin adventure of Shark Cage Diving. 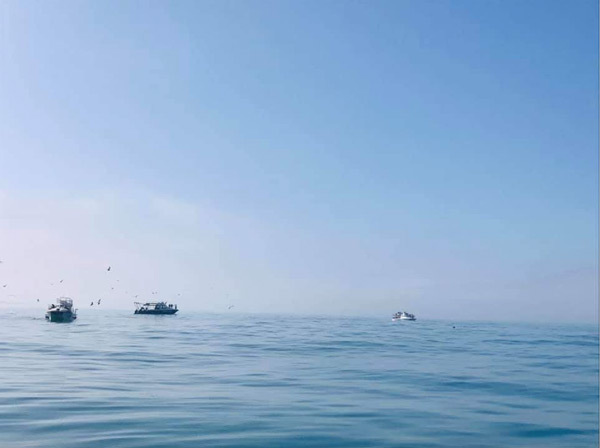 Stanford Tourism and Business Manager, Nicky Currie, takes to the high seas to tick off one of her all time favourite bucket list experiences. 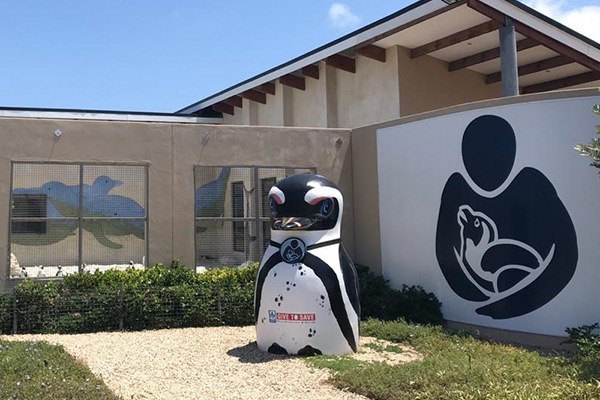 Hosted by Marine Dynamics, Nicky and fellow Stanfordian, Karla Erwee, prepared for their big day out and walked away with hearts pumping and a treasure trove of facts and information about the gorgeous creatures that call the Gansbaai coastline home. Their day started with a delicious breakfast and coffee at the Great White House while Marine Biologist, Toby, briefed the team on what to expect on the dive, as well as key safety tips. They then headed out from Kleinbaai Harbour on Slashfin, the “coolest boat ever” – built for both work and comfort. After slipping into dry (well not for long) 7mm wetsuits, they prepared for the dive. After their dive, the group enjoyed a much-welcomed steamy cup of hot chocolate aboard the boat, and then an awesome surprise, they had time for another dive to take in even more of the natural and graceful beauty of the Copper Sharks before heading back to The Great White House for hot soup, bread, and the chance to watch the video made of their dives (which are also available for purchase for those looking for the ultimate memento of their time with the sharks). “The staff onboard is out of this world. But the day was not over yet. 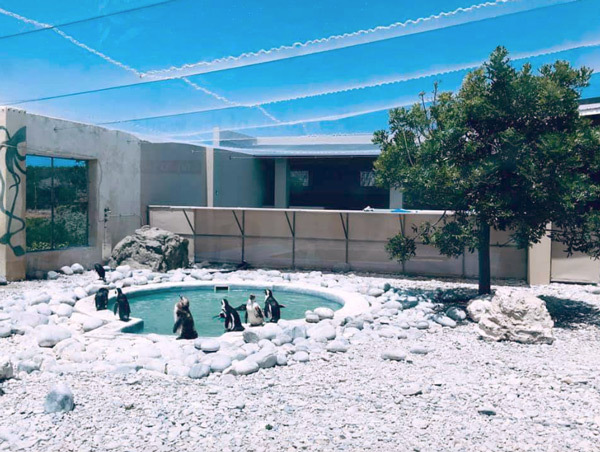 Marine Dynamic’s Gretha treated Nicky and Karla to an educational at the African Seabird & Penguin Sanctuary in Gansbaai. 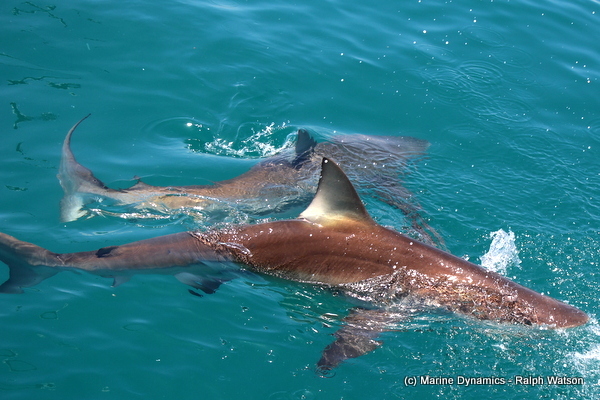 A big thank you to Marine Dynamics for an exceptional experience. For visitors looking to follow in Nicky and Karla’s footsteps, pop into the tourism office to learn more about Shark Cage Diving options and tours. Are you ready to stretch those legs and get out and about in 2019? We’re showcasing the best of the Cape Whale Coast’s outdoor and adventure events and we can’t wait for you to come and explore our gorgeous part of the Cape with us. 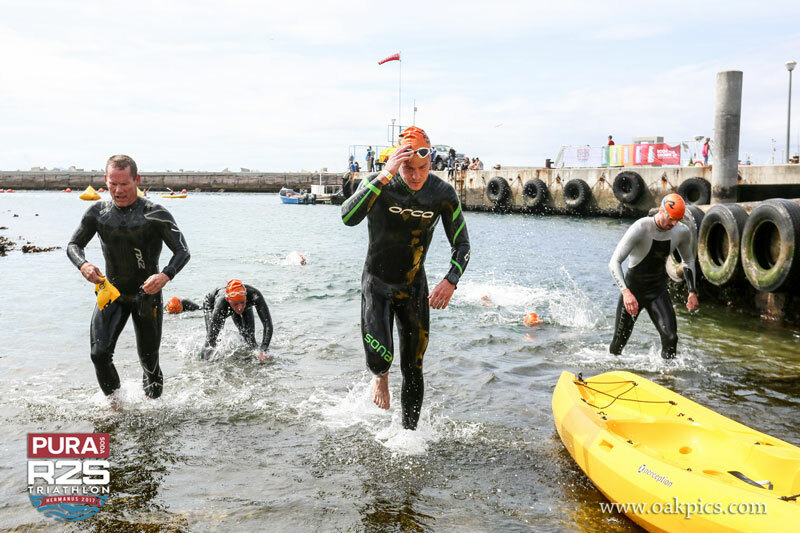 If you’ve ever needed an excuse to pack up your gear and road trip, here are 5 great performance and sports events that’ll have you racing to the Cape Whale Coast in the next few months. If you’re looking to explore 2 stages of around 45km each, and you’re new to multi-stage events (not MTB itself), this non-competitive weekend is just what you need. 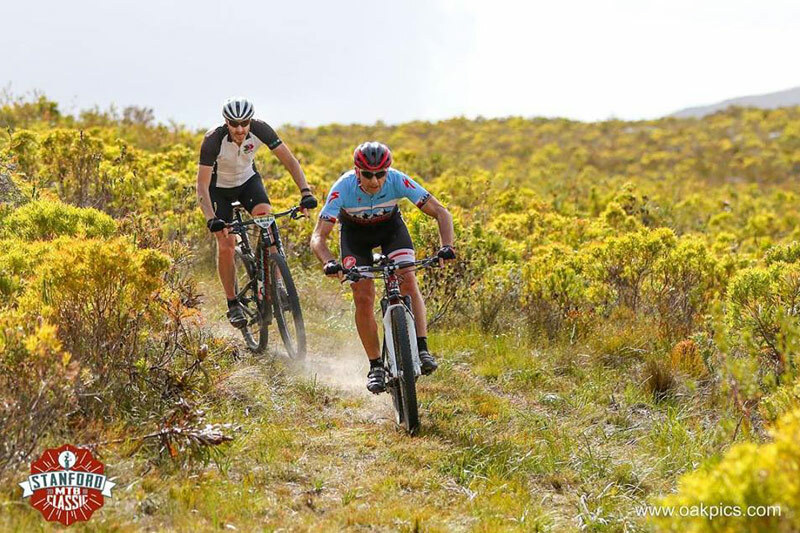 Explore jeep and single tracks with a max climbing per stage of 950m while taking in the “relaxed country village atmosphere”, scenic fynbos surrounds and more. Info here. Image via Stanford MTB Classic FB Page. Photo by Oak Pics. “If you’re looking to ride a unique MTB experience in 2019, then the Lighthouse 2 Lighthouse is the event for you. On 23 & 24 February, 2019, enter as a 2-man team or single rider on this two-day event. 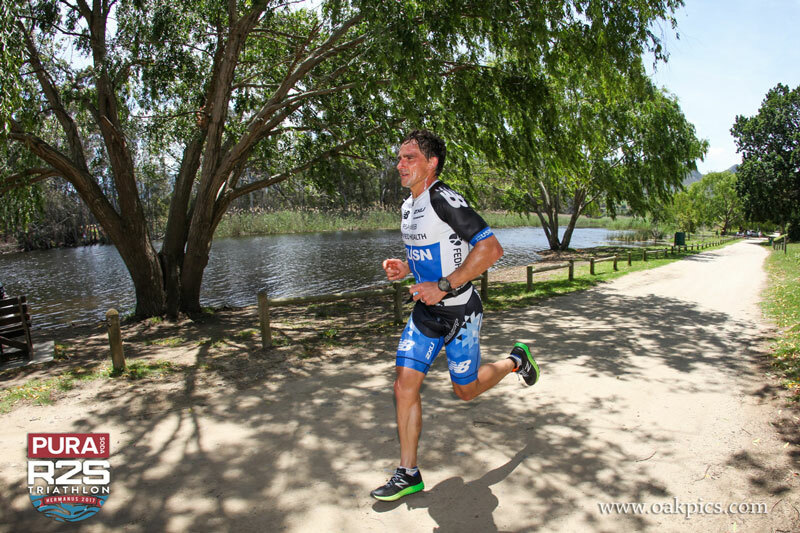 Hosted by The Lions of Gansbaai, the L2L has been running for 18 years with all proceeds going to charity projects in the Southern Cape.” – More info here. 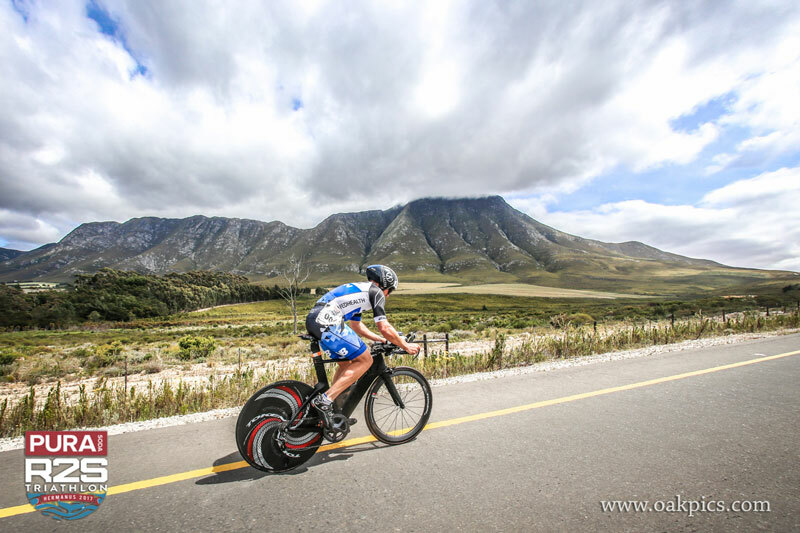 Hermanus hosts Stage one, as well as the start of Stage 2 for this year’s ABSA Cape Epic. Come cheer on the riders as they complete 112km on the first day before heading off for an 86km trek to Oak Valley Estate. It’s not called the EPIC for nothing! More info here. 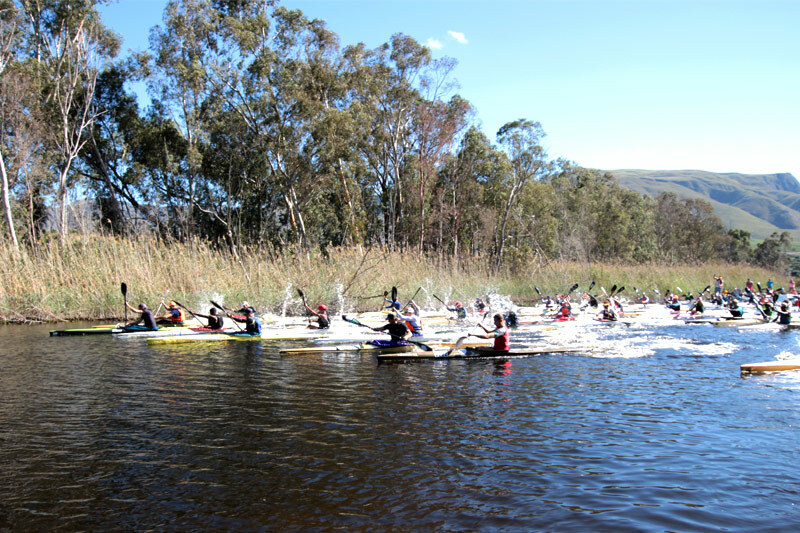 Something for everyone’s adrenalin needs at this epic sports adventure weekend in and around Hermanus. 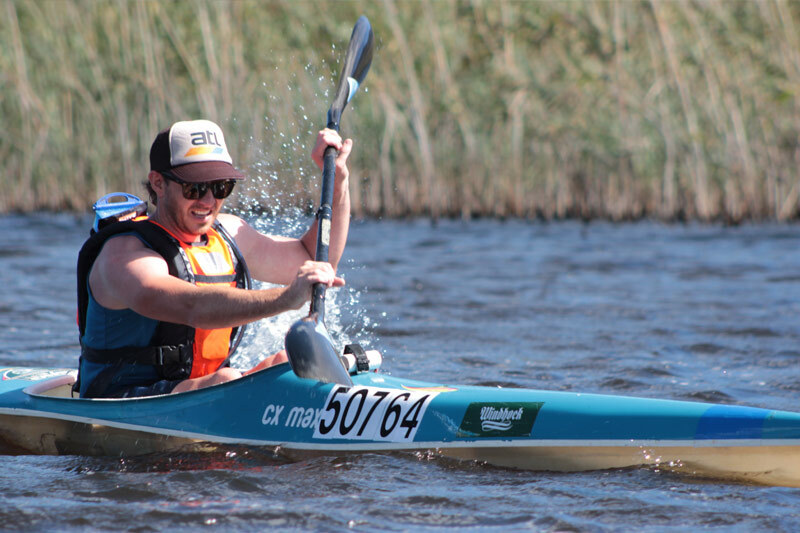 “The event features a host of sporting activities from running, swimming and cycling to functional fitness, paddling and SUPing.” Spectators and families alike enjoy the atmosphere while cheering at these multi-disciplinary events. Don’t miss out on the extreme action this April. More info here. 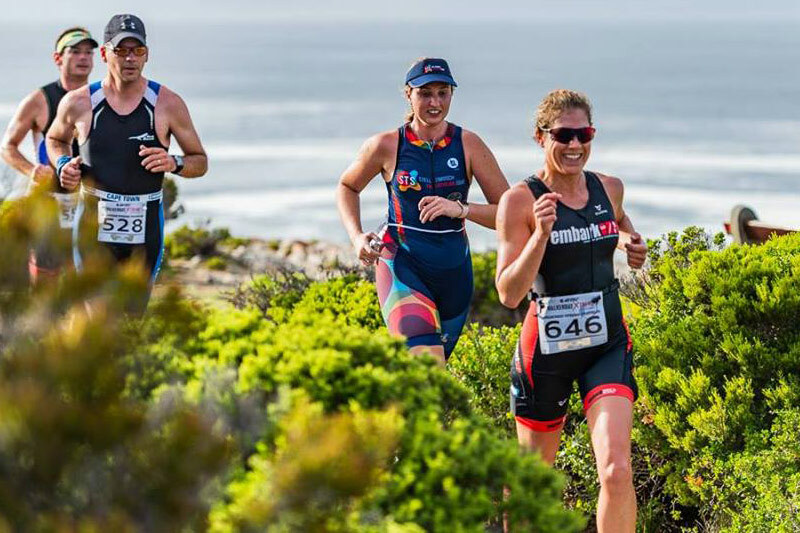 Stanford is conveniently located between both Hermanus and Gansbaai – ideal for accommodation, restaurant and recreation options during these events. Keep an eye on our Facebook page and What’s On for more great #capewhalecoast sporting events throughout the year. #visitstanford and make it your most active year yet! 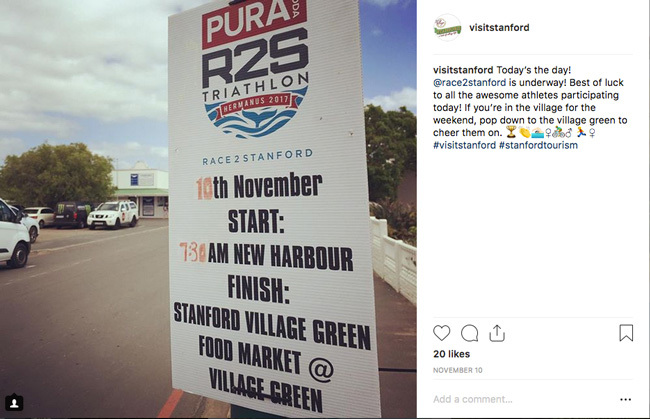 Wow what a year in our little village, the holidays are upon us and there is still so much to see and do in Stanford before the clock strikes midnight and we bid farewell to 2018. 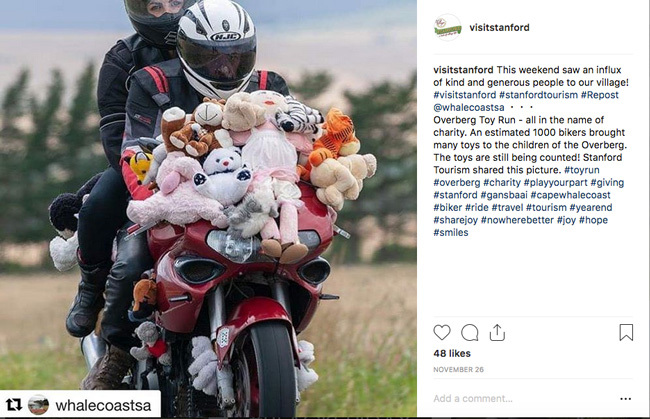 For a fun little recap of Stanford life, we thought we’d bring you some Instagram Memories. 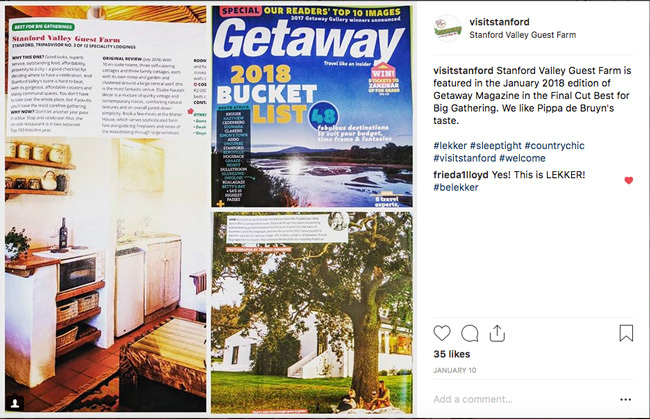 Capture your own these holidays and remember to tag @visitstanford and #visitstanford #nowherebetterthanstanford so that we can share your experiences with other travellers looking for a country escape. Here’s to even more fantatsic memories in 2019, cheers! 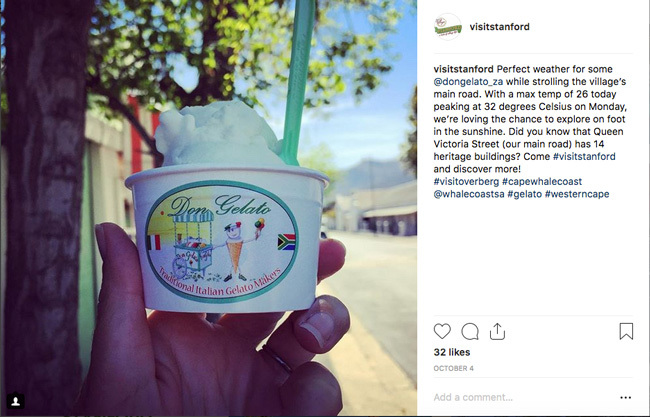 – We celebrated the return of warmer weather with White Water Farm and Don Gelato. – We shared moments of Stanford’s History (we like to think it boosted our IQ a little) with gorgeous images from Annalize Mouton Photography and Mosaic Private Sanctuary. With the shops filling up with already anxious shoppers, not to mention the parking spaces – yikes, we’re taking the time to unplug here in Stanford. After all, we’re a Heritage Village nestled between a gorgeous mountain range and a tranquil river – what else would you expect? But what does it mean to unplug? Are we saying toss your iPhone into the cool depths of the Klein River? Well, not quite. Instead we’re suggesting taking the time to unplug from the busy, that white noise constantly buzzing in your ear telling you there’s too much to do, hurry, hurry huuuuuuurry. Here it’s about taking it slow, about doing more of what you love, and less of the headache stuff. Walk more instead of driving everywhere, ride your bike, paddle along the river or go on a cruise and if you want to use tech, use it to capture beautiful moments with friends and family, or send someone a “wish you were here, let’s do this together next year” message. 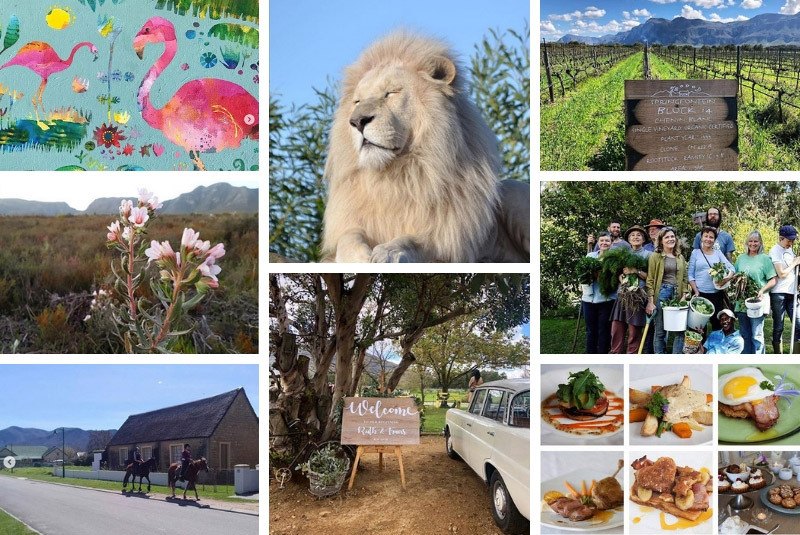 Enjoy lazy lunches, sample some magnificent local food and wines, let the kids just play and play and play and skip a bath or two if you’re feeling rebellious. Do your last minute Christmas shopping at a local market (try the Stanford Street Festival for some lovely ideas on December 16th) or shop right here in the village and support local entrepreneurs doing what they love. The Stanford Street Festival on December 16th is a great day out to shop, eat and soak up a charming Christmas market right in the village’s main street. 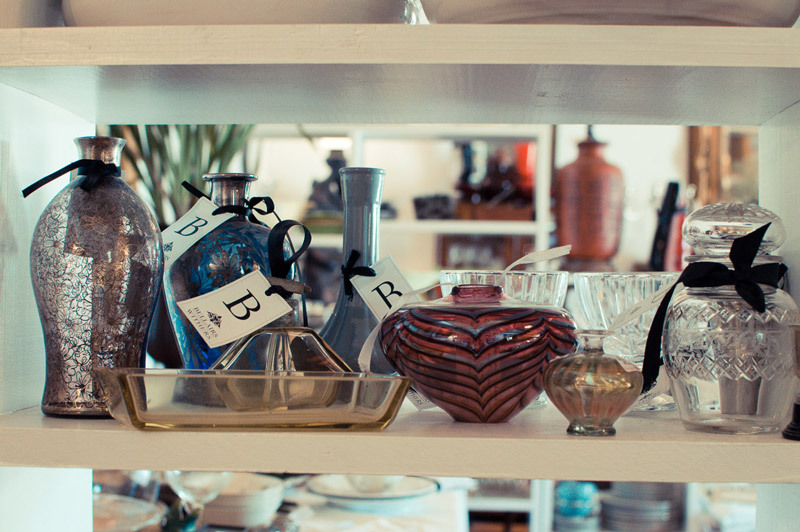 Shop beautiful treasures at Stanford’s Antique and Vintage shops, this beautiful collection available at Bellairs Withers. 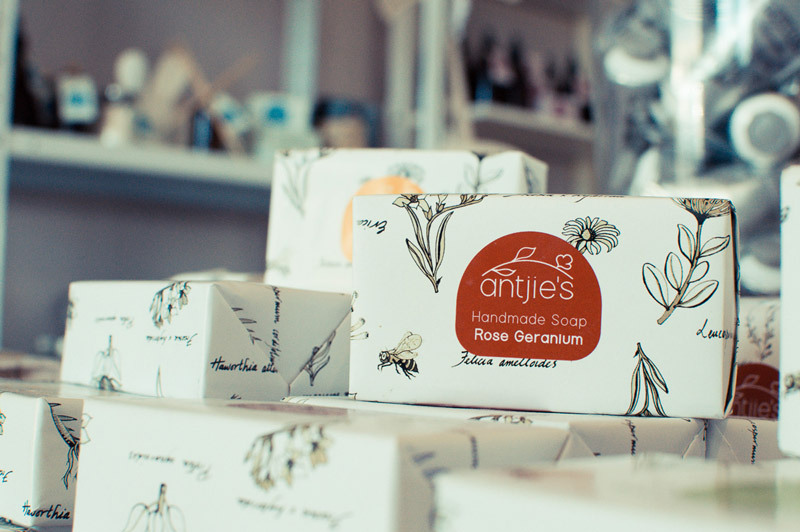 Handmade Soaps and body products along with a myriad of gifts and goodies from Antjie’s gift shop in Queen Victoria Street. Sit on a beautiful stoep and take in the sights and sounds of village life, or go an adventure – hike to a waterfall or soak in the wonder of an ancient milkwood forest. And if you need more inspiration, pop into the tourism office, we’d love to make some suggestions and help you make the most of your stay. Whatever you do, and however you choose to spend your time in Stanford these holidays, do it at your pace, or even better, at ours. Let us rub off on you a little bit, and go home with some Stanford magic dust and a heart (and memory card) filled with memories. Beautiful cover image of this blog by Annalize Mouton. 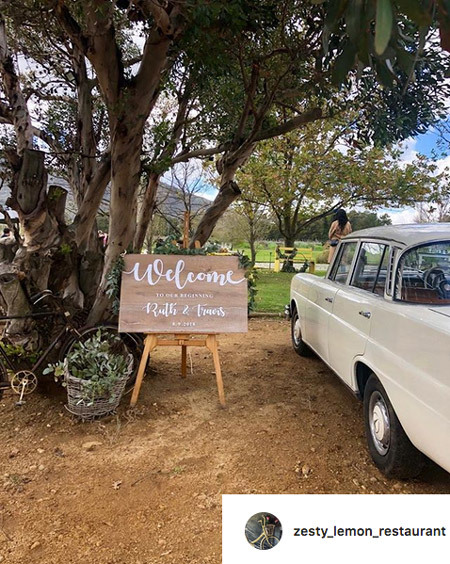 Turn off the R43 from Hermanus up a gravelly road sprinkled with restaurants and vineyards and you’ll find Stanford Hills – a guest farm, function venue, vineyard and restaurant and flower farm born out of a love of family celebrations. We sat down with co-owner and entrepreneur, Jami Kastner, to find out more about making a success of life in the hills. Having grown up in the area, with a keen eye for business and hospitality, Jami and husband Peter purchased their farm on April 1st 2005, an auspicious day for a young couple who originally started with Protea farming but soon branched out into the then unknown territory of wine – a decision Jami admits was both naive and a little crazy, but one which has guided their business into the food and hospitality realm. 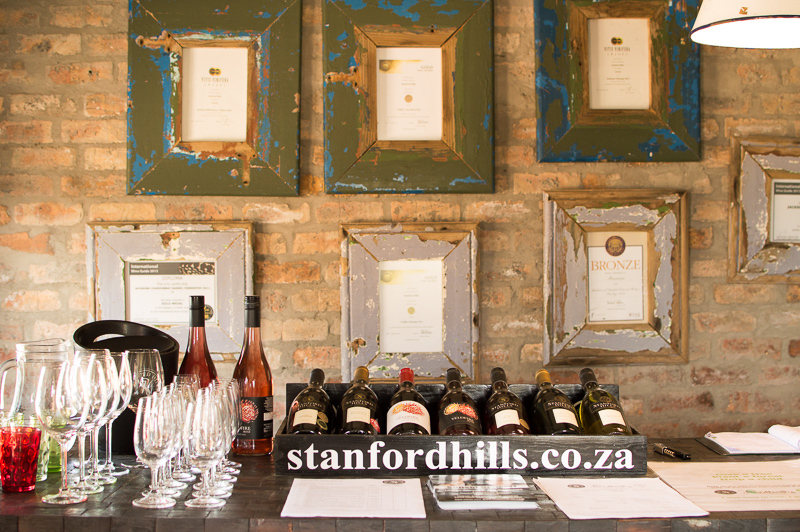 The Shop serves as the wine tasting, sales and reception hub at Stanford Hills. 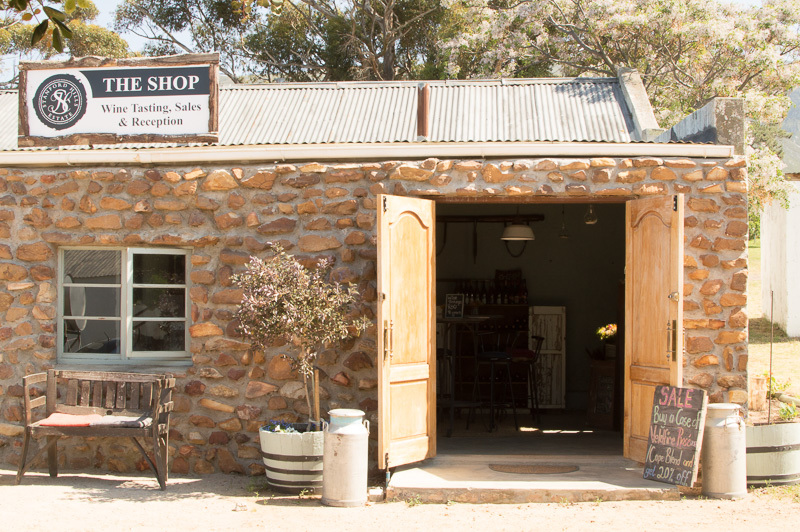 Pop in for wine, flowers or even some pinotage jam. Sounds yum! A small rustic building with gorgeous views over the dam grew from a deli/picnic type spot into a small tasting room for their estate wines and now has blossomed into a 140-seater restaurant with the same gorgeous views. The growth of the restaurant opened up the opportunities for special occasions and eventually weddings. Live music concerts with some of SA’s finest musicians can also be enjoyed in the summer months with families spread out across the green lawns soaking up the sun, sounds and local food & beverages. 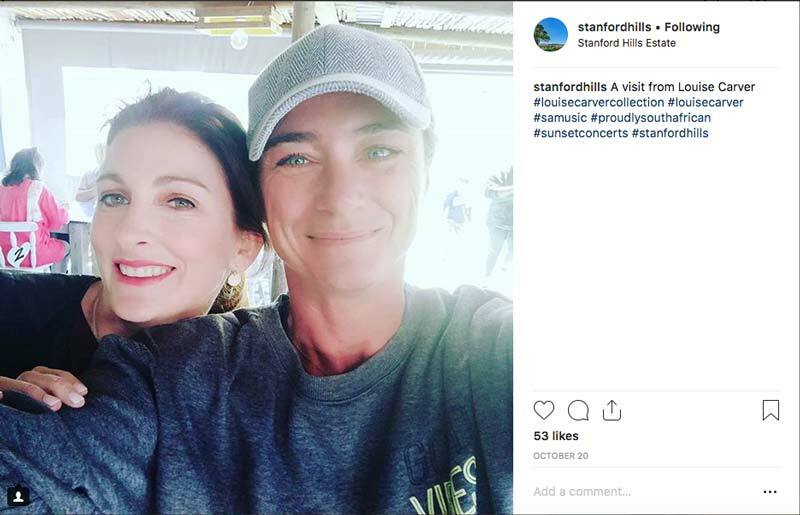 A big turning point for live music at Stanford Hills was the partnership with Louise Carver (who returns on January second with Ard Matthews). She was the first big artist to take a chance on the venue and attracted 1000 people! Artists refer to their concerts at Stanford Hills as a ‘Kirstenbosch but more intimate’. Jeremy Loops will be rocking the hills in December, have you booked? 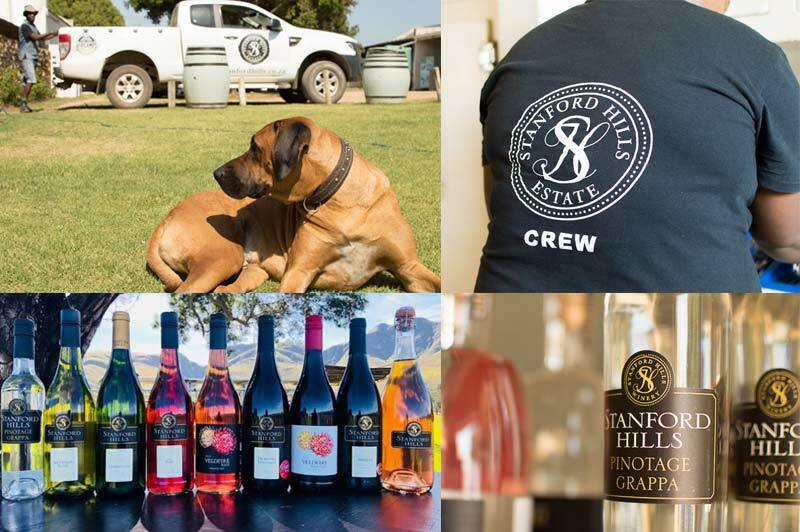 Stanford Hills may seem laid back and casual – trademarks of their vibe, but their branding is sharp, well-displayed and consistent. Even Pinot the giant ridgeback is part of the Stanford Hills experience. And what about success? 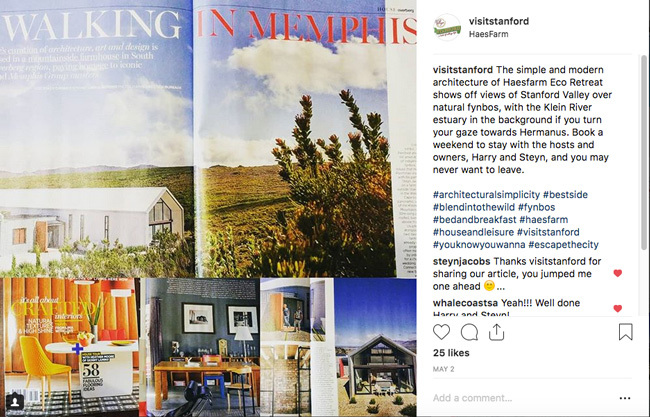 What works when marketing a business like Stanford Hills? “It’s vital to listen to your local people and keep them happy, it’s not just them coming here, it’s them telling people to come here.” says Jami. Mid-week food specials and community-initiatives like the Stanford Striders walking group who meet for a meal and glass of wine for just R60 after an active walk around the farm on the last Monday of the month, are just two of the ways Jami and her team reach out to the local market. Jami emphasizes how important it is for locals in an area to know that a business values them. 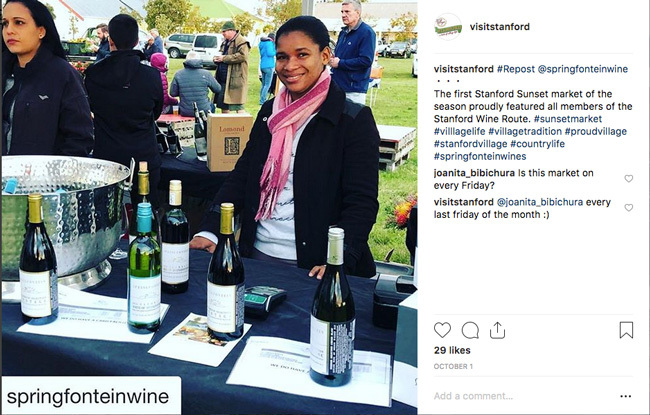 Word of mouth marketing, especially in a small community like Stanford is invaluable. Other key points for the business’ success, in addition to being sensitive to a local market, has been clever collaboration with like-minded brands. 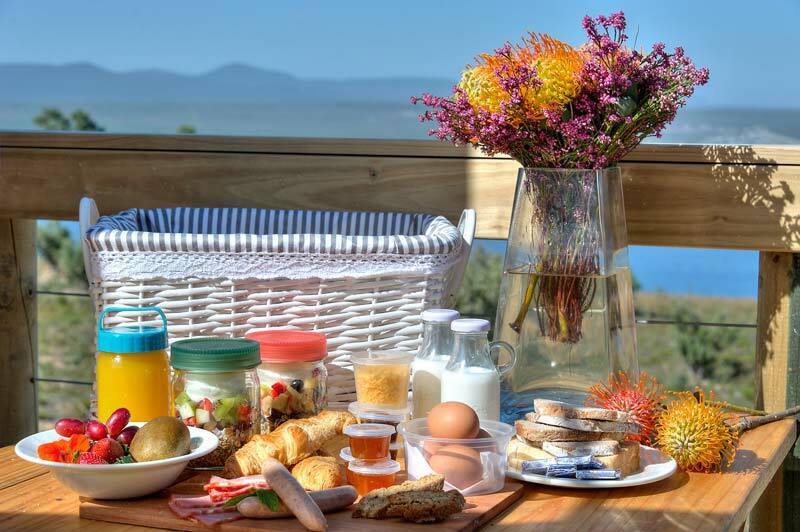 All accommodation is self catering but guests can order breakfast or braai baskets delivered to them to prepare at their leisure. 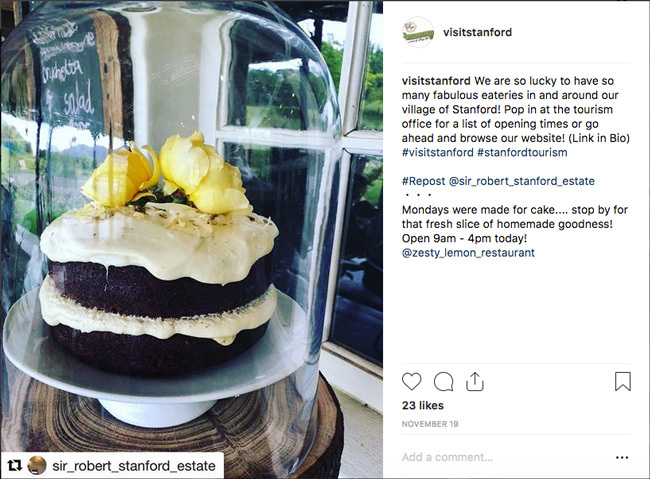 While Stanford Hill’s accommodation arm was enjoying steady weekend trade, the partnership with the boutique camping brand has seen an impressive increase in midweek stays – which has a positive knock on effect for the restaurant, and surrounding businesses. 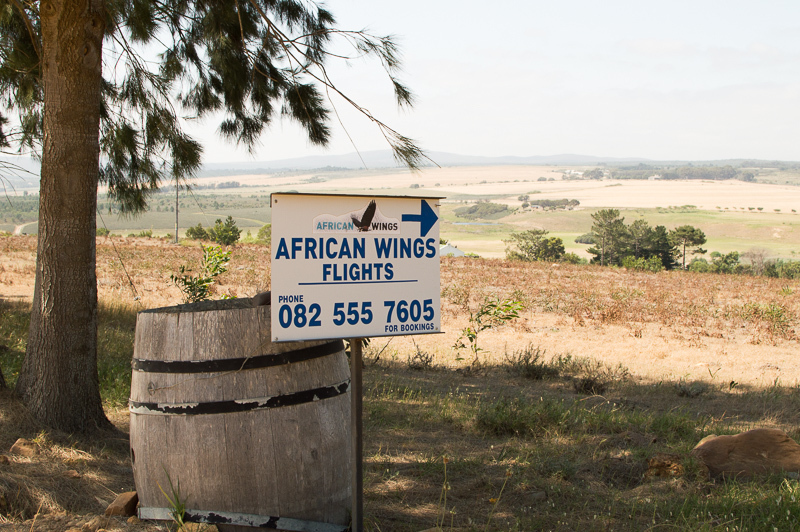 African Wings, an air charter service popular during whale season also based on the farm, has benefited from the Africamps clientele who are well matched to the service. TIP: For entrepreneurs looking to expand their footprint or marketing reach, look for partnerships that complement your own, aim for a ongoing working relationship and nurture it. “Nothing can replace owner business involvement – nobody cares for or loves your business like you do. Keep your own finger on the pulse.” Says Jami. Complementing their management style is a happy, enthusiastic team who embody the brand. Jami shows a keen interest in her staff and loves discovering hidden success stories right in her own backyard – Vuyo, who started on the farm as a flower picker for example, is now an amazing, and proud, teacher at The Butterfly Centre, another family initiative Jami is unbelievably passionate about. (You can find out more about them here). Despite the brand’s success Jami is very aware that no man is an island, especially not in the hospitality and tourism game. With experience on both the Hermanus Tourism Committee, and later as the chair of Stanford Tourism, Jami has a keen understanding of the value of Destination Marketing – she explains that tourism businesses shouldn’t look at tourism as competing against each other, rather with the idea that the whole town or region is competing against other destinations. This helps people to unify under their tourism brand and represent a strong front. “I couldn’t feel more strongly that we need to work together. It comes down to aligning with brands who have a similar ethos.” – explains Jami. 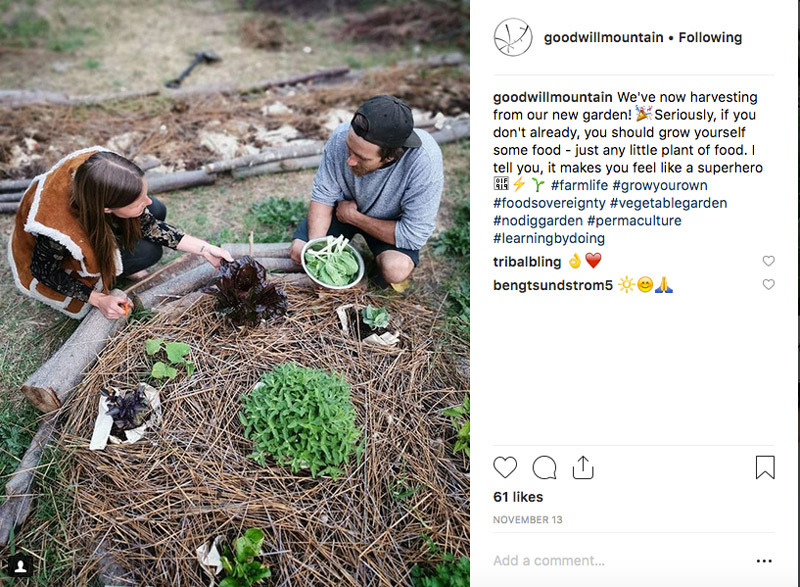 Support other businesses trying to achieve similar goals; value word of mouth – it is more powerful than even the most active social media accounts! Weddings are popular and very often become weekend celebrations – that means more and more people are benefiting. Her best advice for businesses in small towns and villages? Remain aware of the fact that you’re part of the bigger picture. A big thank you to Jami for her time and for sharing her entrepreneurial insights! 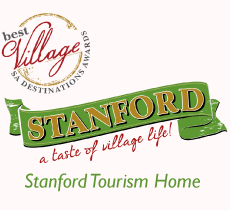 With so much on the go, the village of Stanford offers just about something for everyone. Come and meet our entrepreneurs, support owner-run businesses and enjoy an escape from the city with us. We look forward to welcoming you! 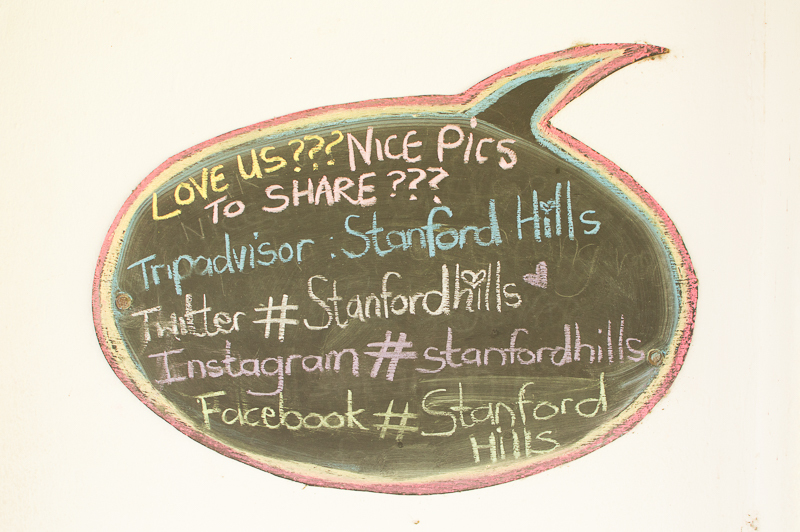 Share your experiences with us on Facebook (@stanfordtourism) and Instagram (@visitstanford) and tag #visitstanford! 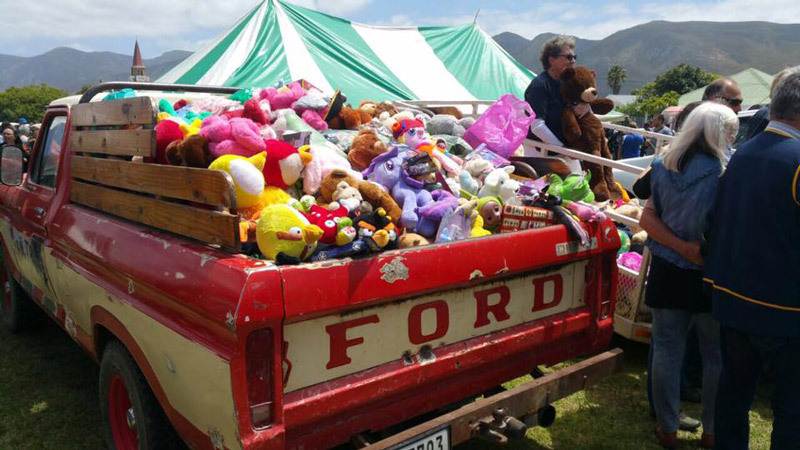 The annual charity Toy Run has become an icon in South Africa since its inception in 1982 and is celebrating 33 years of giving and caring for those less fortunate during the festive period. It is now the largest motorcycle-related charity event in Southern Africa and arguably the world. 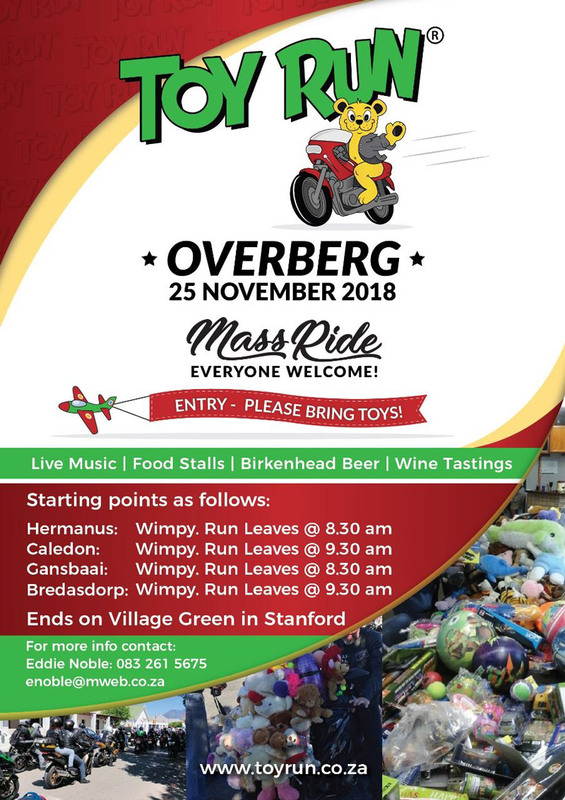 The Overberg Toy Run 2018, will be hosted by Stanford and motorcyclists will park on the Village Green (Market Square) on 25 November 2018. 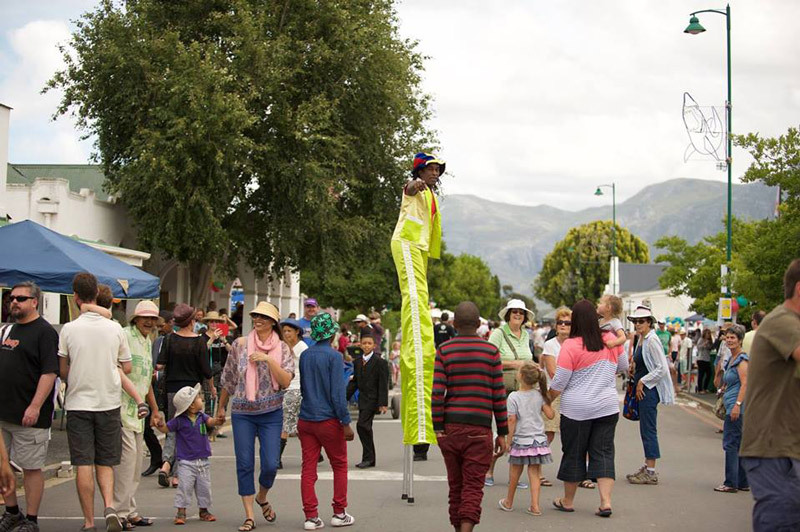 It is a national event supported by the Overstrand Municipality and administered via the Stanford Tourism Bureau (Stanford Info). 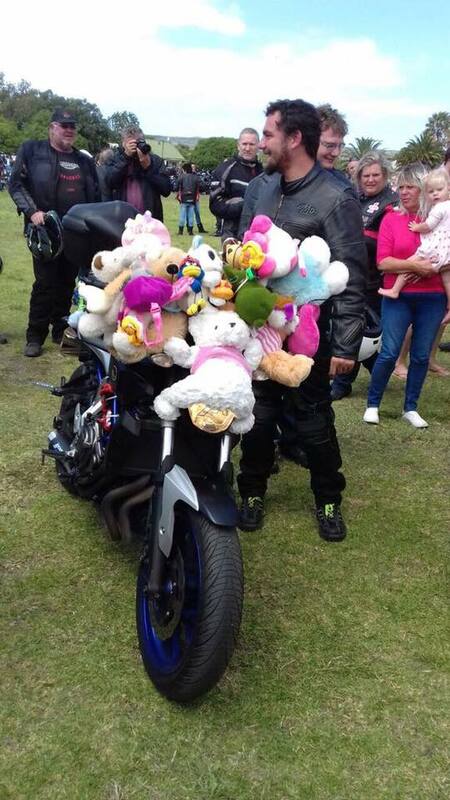 Bikers and spectators are all asked to bring a plush toy and child’s gift to donate, for both girls and boys. There will be a market on the Market Square to which there is free entrance to spectators, families and motorcyclists alike. There will be food stalls, children’s entertainment, craft beer, live music and more. Bikers will be meeting at Gansbaai Wimpy 8:30am (riding via R43 to Bredasdorp), Bredasdorp Wimpy 09:30am, Hermanus Wimpy 08:30am (riding via Hemel ‘n Aarde to meet Caledon riders), and Caledon Wimpy at 09h30 – all to convene at Van Braakel Store and then to the Market Square in Stanford. Expectations are for more than 700 bikers to participate this year’s event. 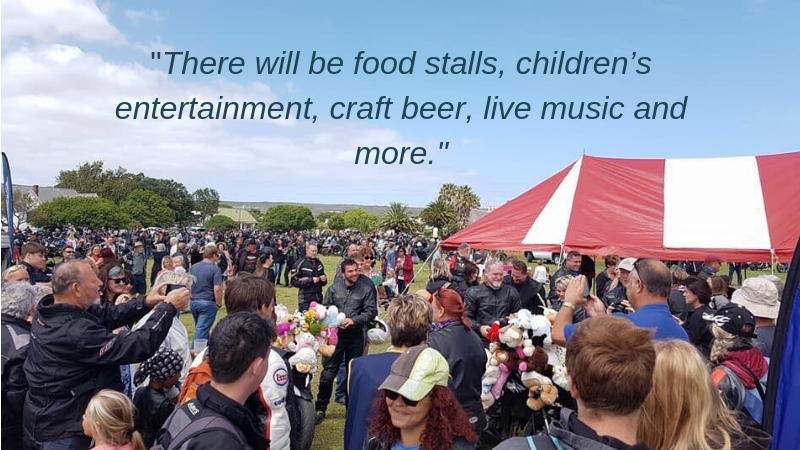 The Toy Run provides an opportunity for motorcyclists to donate toys, educational items, etc for collection by Stanford Rotary for the distribution as Christmas gifts to disadvantaged children of all races in orphanages, shelters, homes and hospitals throughout the participating Overberg communities. 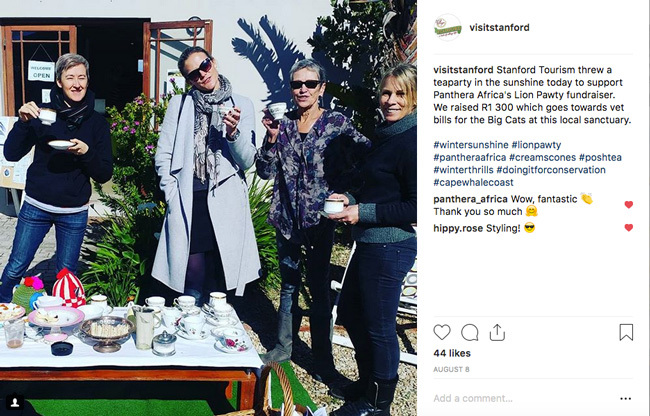 We’ve rounded up some of our favourite Instagram photos taken by our Stanford Tourism members to give you a glimpse into art, weddings, activities, accommodation and the gorgeous landscapes that make up Stanford and surrounds. Enjoy! 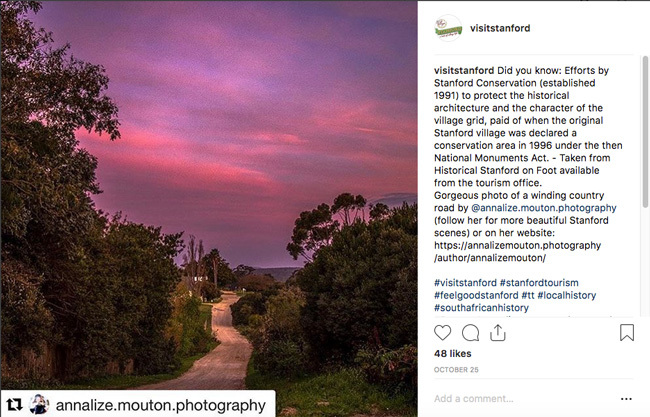 And if you’re an avid tapper of the photo button, tag us on your next visit to Stanford with #visitstanford and be sure to follow us on Instagram @visitstanford. We love Goodwill Mountain’s celebration of spring! 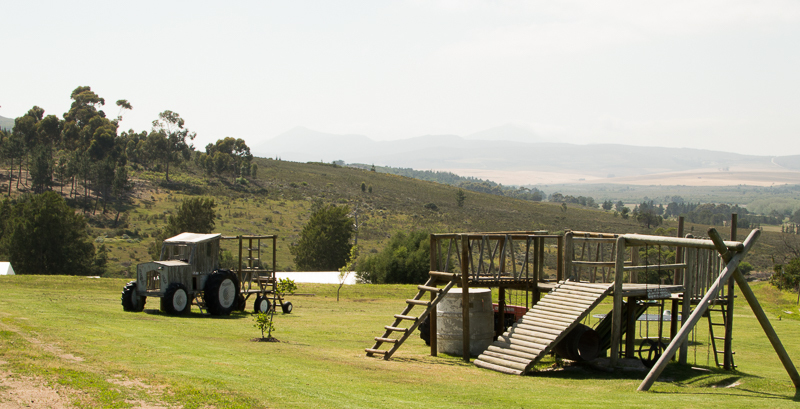 With rolling views of the Stanford Valley, the farm is nestled on the side of a mountain. 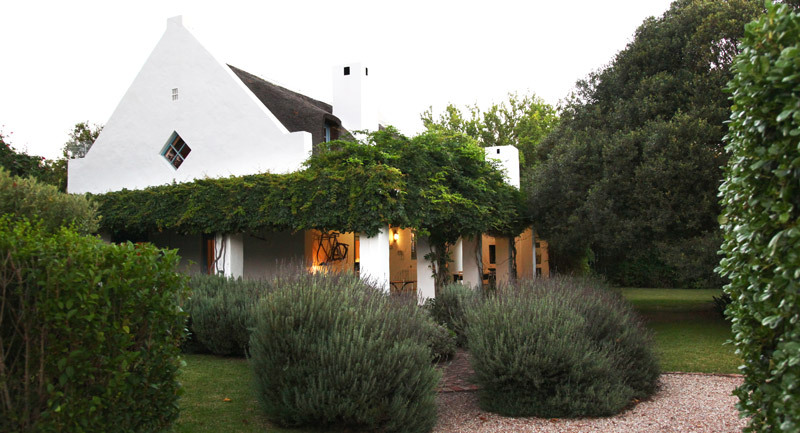 Accommodation options range from lovingly restored labourers’ cottages, to a Villa sleeping 8-10 guests. Find them on Stanford Tourism Website here. 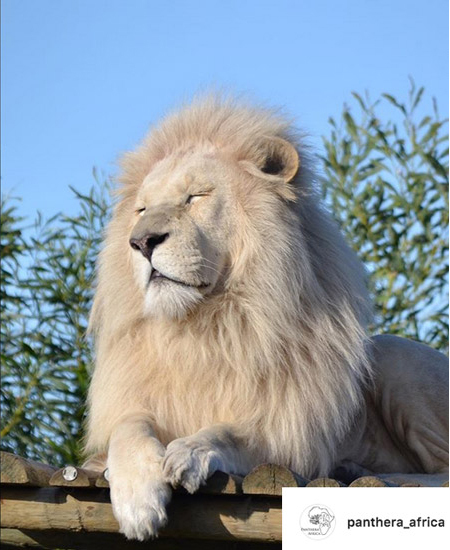 Someone else enjoying spring is Panthera Africa’s gorgeous white lion, Oliver. If you’d like to make the most of the warmer evenings, why not book a Sunset Visit and experience the magical cats of Panthera in a unique atmosphere. Pre-booking is essential, you can find out more here. 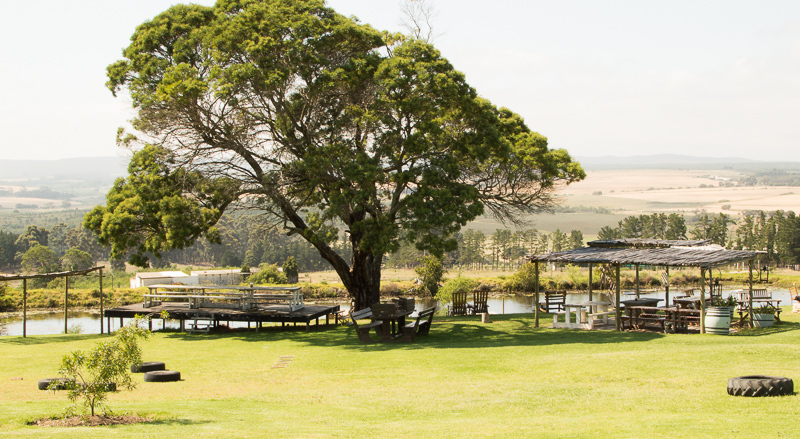 If picture-perfect country weddings are your thing, you’re spoilt for choice in Stanford. We just love the mood of this recent wedding captured at The Zesty Lemon – vintage and retro country looking gorgeous! In addition to small weddings, they also hosts team buildings, year-end functions, birthdays and kids parties. Find them on the Stanford Tourism website here. 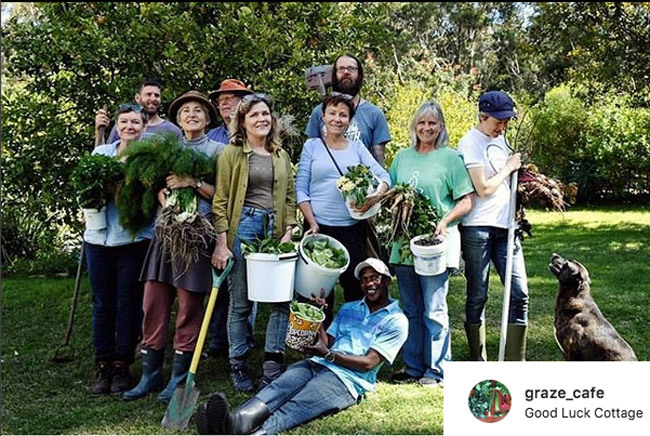 Graze Slow Food Café recently hosted yet another successful Self-Sufficiency Workshop. Participants learnt about animal husbandry, gardening and growing their own organic veg, herbs and fruits. Beekeeping looked like loads of fun (and pretty sci-fi) and cooking, bottling and preserving skills sent the participants home feeling like true pioneers (and no doubt friends and family will receive something pickled or fermented under their Christmas trees). To find out more about their Costal Forage in December click here. 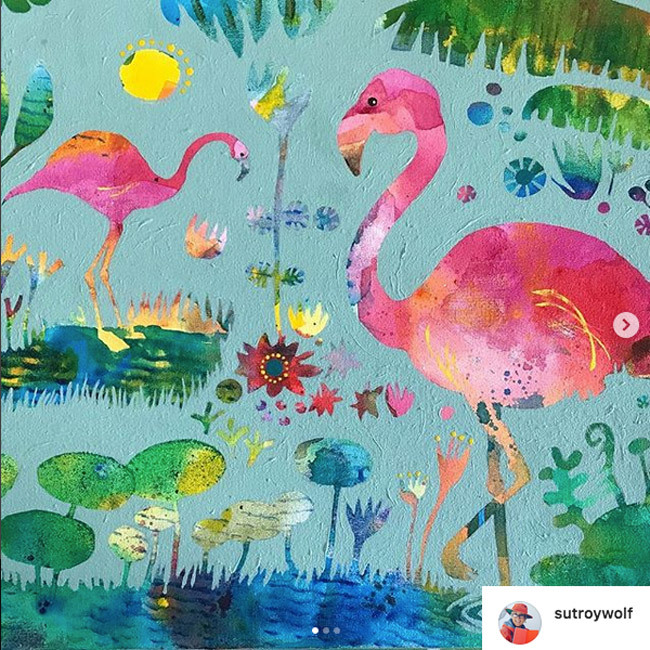 Whimsical, quirky, playful, and of course, colourful, Stanford Artist Su Wolf’s work will tease your lips right into a smile. 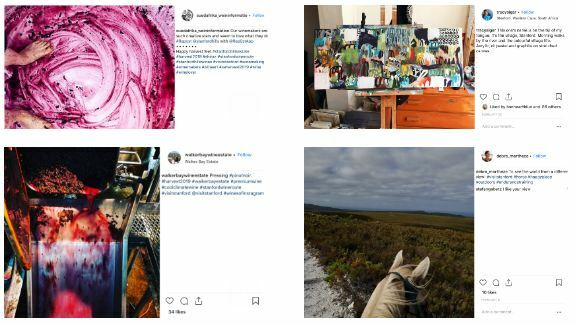 Her Instagram feed is a welcome patchwork of colours, inspiration and her travels – as well as some snaps around the village too. Read more about Su here, and why not book an appointment to visit her studio? 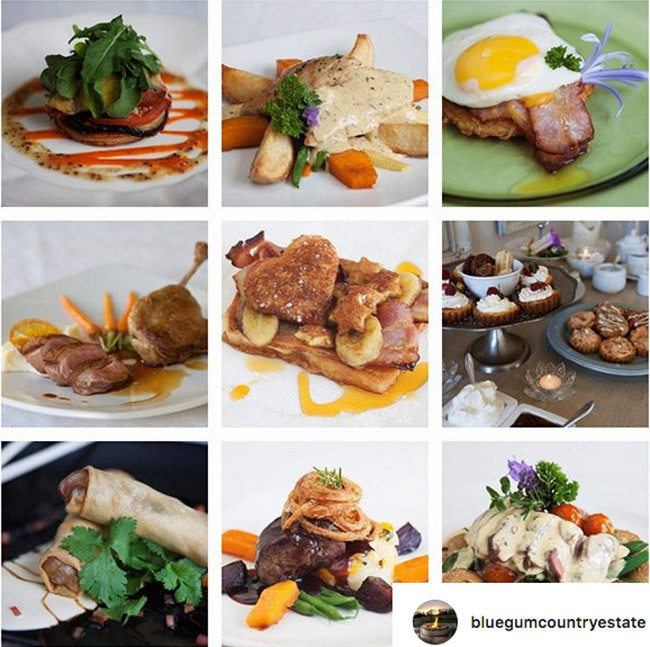 If a foodie getaway is on your wish list, accommodation establishments like Blue Gum Country Estate mean you never have to wander too far from your comfy room to find delectable dishes. Cleverly, Blue Gum’s restaurant has two sections – one more informal ideal for family get-togethers and open for 3 meals a day (BARKE), while The Blue Gum Restaurant caters to Adults only for more romantic dinners. The same menu is served at both sections, so the atmosphere choice is up to you. Find out more about Blue Gum Country Estate here. Saddle up and see the sights of Stanford and surrounds on horse back with African Horse Company. 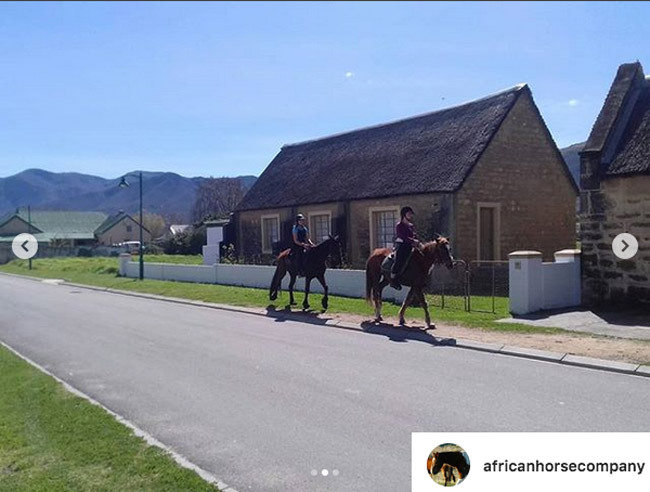 Enjoy an outride (around 1-3 hours) or gather your gusto and go for an overnight option – from 2 to 10 days you’ll really see some magnificent Overberg sights. Find out more here. 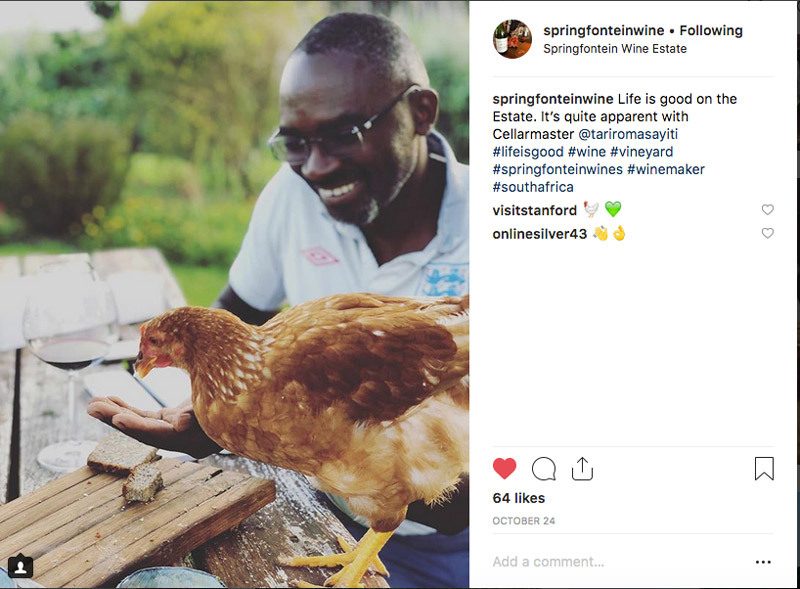 Delivering wines that are “a combination of nature and human craftsmanship,” Springfontein Wine forms part of the @stanfordwineroute and showcases some South African favourites like Chenin Blanc and Pinotage as well as the ‘regulars’ like Merlot, Cabernet Sauvignon and Chardonnay. 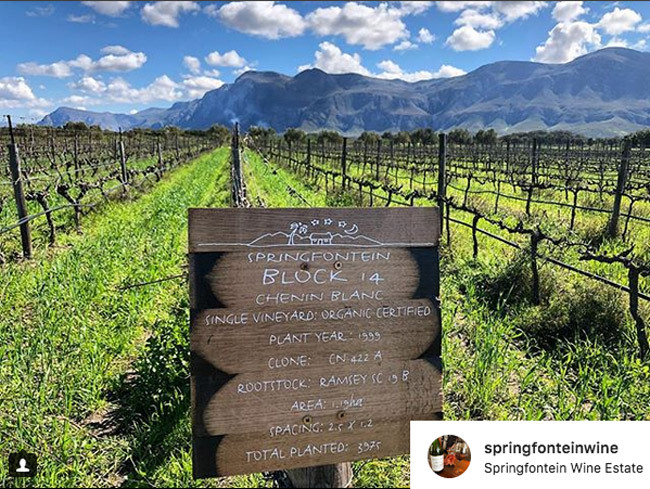 Springfontein also have a small planting of Petit Verdot, Semillon and Sauvignon Blanc. 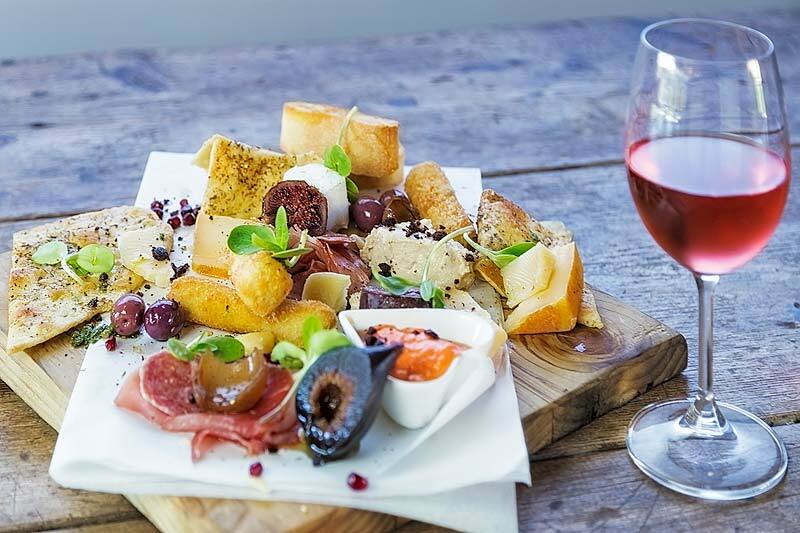 Pop into their Springfontein Bar(n) for tastings and food served daily from 11-9pm. All photographs property of the respective members. © 2013 Copyright by Stanford Tourism. All rights reserved. No words or photographs on this site may be used without written permission from Stanford Tourism. Website and Digital Media Strategy by Smart Octopus.Stanford Tourism is proudly affiliated to The Cape Whale Coast, and Cape Nature.